Have you seen the Ministry Ideaz’s Sophia Bag preaching tote for girls? 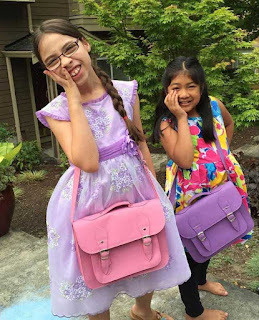 As little girls usually aspire to be like their mothers, this girl’s leatherette briefcase can help them dress up like their mothers. It is also a way of helping them start their ministry at a young age. They can carry the little sling briefcase when they walk beside their parents while out in service.